Finally, news about a prize for Russian-English translation! The Rossica Translation Prize named its 2009 shortlist last week. The award covers classic and contemporary fiction, nonfiction, and poetry, so the nominees are pretty diverse. I’ve read a few of the books: M. Ageyev’s Роман с кокаином (Novel with Cocaine or Romance with Cocaine, even the Rossica site can’t decide! Translation: Hugh Aplin), Fedor Dostoevskii’s Униженные и оскорбленные (Humiliated and Insulted, translation: Ignat Avsey), and Vladimir Sorokin’s Лёд (Ice, translation: Jamey Gambrell). Of the three, I liked the mysterious Novel with Cocaine best, though it’s been a couple decades since I read it. The other finalists are Andrei Babchenko’s Война одного солдата (One Soldier’s War, translation: Nick Allen), Viktor Pelevin’s Священная книга оборотня (The Sacred Book of the Werewolf, translation: Andrew Bromfield), Maria Galina’s Гиви и Шендерович (Iramifications, translation: Amanda Love Darragh), and Elena Shvarts’s poetry collection Birdsong on the Seabed, translation: Sasha Dugale for this bilingual book. Summaries of the Rossica shortlist books are here, and the longlist is here. Meanwhile, the Russian Big Book Award “experts” named a longlist of 48 books and manuscripts. Three entries are also on the National Bestseller short list: Andrei Gelasimov’s Степные боги (Steppe Gods), Sergei Nosov’s Тайная жизнь петербургские памятники (The Secret Life of Petersburg Monuments), and Aleksandr Snegirev’s Нефтяная Венера (Oil [think petroleum] Venus). It’s difficult to believe the same person -- Andrei Siniavskii (pseudonym Abram Terts) -- wrote the busy novella Любимов (Liubimov or The Makepeace Experiment) and “Пхенц” (“Pkhents”), a restrained short story. Both pieces contain the science fictionish and/or grotesque elements Terts thought reflected life better than realism but, stylistically, the stories are opposites. Liubimov reminds me of a pint of ice cream that’s so overloaded with the conflicting flavors of chips, nuts, and other marginally edible stuff that it’s hard to taste the ice cream itself. On the crude plot summary level, Liubimov is a dystopia of sorts concerning a bicycle repairman who leads a small city using hypnotism. In my favorite scene, unprestigious foodstuffs take on luxe flavors: water becomes alcohol, canned red peppers become beef, and cucumbers become sausage. It’s too bad Terts piled on so many genre elements, literary devices, and tangents – folk tale, religion, unclean forces, footnotes, and on and on – that the story and its underlying questions about truth, lies, and history nearly get lost. With its spirits, inventive language, and fast pace, I can’t argue with the blurb in my book that says Liubimov descended from Gogol, Bulgakov, and Platonov. It has some wonderful material, but it’s a little too antic and crowded for my taste. Staying with the dessert theme: if “Pkhents” were ice cream, it would be a rich vanilla with a twist of high-quality fudge or peanut butter. I read the story as an afterthought because it followed Liubimov in my book. It’s a beautifully crafted story about someone with a hunchback who lives in Moscow under false documents. I don’t want to say too much and spoil the surprise of the story – I knew what it was and wish I hadn’t – but I will say that the story is very, very touching in showing how loneliness affects us. “Pkhents” is simple and quietly funny, too, with some fantastic остранение (defamiliarization). The story is oddly mesmerizing, and I recommend it very highly. I would be remiss if I didn’t mention the role these stories played in Terts’s show trial for anti-Soviet agitation and propaganda in 1966. Certain works published in the West -- Liubimov, along with On Socialist Realism and The Trial Begins – underpinned the indictment against Terts. Although “Pkhents” didn’t figure into the indictment, in his closing plea Terts invoked a line from the story about being different. He then commented, in the translation given in Max Hayward’s book On Trial, “Well, I am different. But I do not regard myself as an enemy; I am a Soviet man, and my works are not hostile works.” Terts was tried along with writer Iulii Daniel (Nikolai Arzhak) (previous post on Arzhak). Neither pled guilty. Both were convicted: Terts received a seven-year sentence, and Daniel received five years. German Sadulaev's Таблетка (The Tablet) seems to be a constant prize candidate, the Miss/Mr. Congeniality that never wins. (summary on 2008 Booker short list post) It’s the frontrunner for the Natsbest, though, with 10 points. P.S. 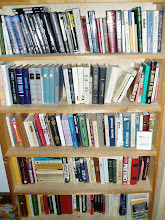 Several of these books -- Snegirev’s, Boiashov’s, and Gelasimov’s -- are available for PDF download on kniga.com. The site says all its downloads are legal, offered under an agreement with whomever holds the rights to the books. That’s it: I’ll limit myself to just one fish pun for this post. But I can’t help myself for calling Petr Aleshkovskii’s (Peter Aleshkovsky) Рыба. История одной миграции (Fish. The Story of One Migration) a big novel that got away. Fish begins in Tadzhikistan, where a teenage girl named Vera (Faith) lives with her Russian parents. Vera works one summer on an archeological dig, where she helps reconstruct, like a puzzle (пазл=pazl! ), a fresco with a fish. Later that summer, Vera’s personal horseman of the apocalypse arrives: an Uzbek on a black horse who rapes her after drugging her with a nasty drink he’s brewed. The trauma affects Vera, directly and indirectly, for the rest of the book. She becomes a nurse with somewhat mystically therapeutic hands and takes care of others, including her husband, a former patient, who, medically unable to work as a policeman, takes a job at a slaughterhouse and becomes an alcoholic. He’s the one who begins calling Vera a cold fish. Through the course of the book, Vera’s migrations take her to Dushanbe for education, a border town in Russia to escape war, the country for quiet after a son overdoses and her husband becomes a monk, and, finally, Moscow for a live-in nursing job. When the book ends, Vera is about to move to Italy to become a nanny. All of which means that Fish, which was short-listed for the 2006 Russian Booker Prize, contains plenty of great material about life in Central Asia, the stresses of the collapse of the Soviet Union, and personal trauma. Unfortunately, though, Fish plods its way through geographical and emotional territory, squandering opportunities to expand the book beyond an accounting of sites seen and indignities experienced. A few very vivid scenes stand out – a voyeuristic, sensual passage in a Tadzhik garden and Vera’s walk in the woods are particularly good – but other portions of the book are woefully underdeveloped. I kept waiting for details about Vera’s family’s fish-based business in the border town, after they’ve migrated to Russia, but nothing ever came. Aleshkovskii’s strength is in writing about nature – the beautiful chapters in the woods in Жизнеописание хорька (mistranslated as Skunk: A Life) made that book well worth reading – so expanding the fish theme seemed natural. I think a big part of the problem in Fish is the first-person narrative. I don’t believe Aleshkovskii fails in writing from a woman’s perspective, but I think a third-person narrative would have enabled far broader and more nuanced observations of Vera’s experiences. There are tremendous inherent difficulties with narrating a book from the point of view of a person who’s so emotionally spent. Vera fills her days and nights with extra work, much of it menial, as if she is carrying a saintly burden. She rarely reflects on her past… until the very last page, when she starts thinking back on the people and events in her life, and feels her “я” (“I”) separate from her body as she did when she was raped. This time, though, she calls the experience спасение (salvation) and, remembering the advice of an elderly Estonian man who rescued her after a failed pilgrimage of sorts, she realizes she needs to радоваться (be glad, feel joy). All the pieces of her life, like the puzzle of the fish fresco, seem to come together. One interesting aspect of this rushed ending is that it occurs in a Moscow apartment at Metro “Беговая” (“Begovaia”), named for the nearby hippodrome. The root of Begovaia, beg, means run(ning). The name neatly brings back the horse theme and, perhaps, Vera’s move away from Begovaia will finally signify the end of her numbness and escape from her self. 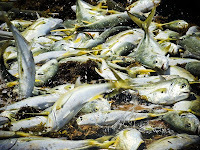 Numbness is an important theme: others in Fish anesthetize themselves with alcohol and drugs, and some do not survive. Unfortunately, I can’t argue too much with a Russian friend who thinks Aleshkovskii is just plain boring. I can’t say Fish was just plain boring, and I wanted very much to like it, but it wasn’t always very compelling, despite the cultural, religious, and current history motifs that Aleshkovskii wove in. With more detail and depth, Fish could have become a very significant book about social and personal changes, but instead it feels like an uneven draft, a big novel that slithered away.